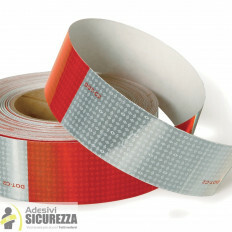 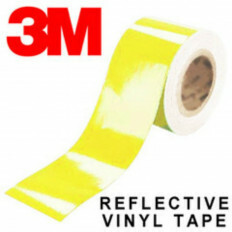 Vinyl reflective adhesive chevrons for flat, curved, wavy and riveted surfaces. 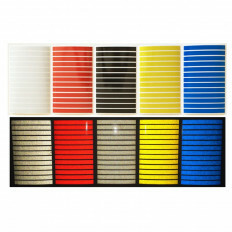 Available in different colors, multiple units are sold at a discounted price (see the price table). 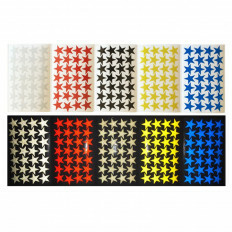 Kit with 24 pieces measuring 3cm x 1,5cm each. 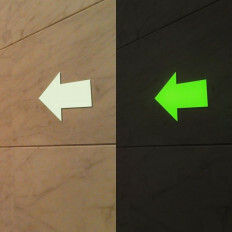 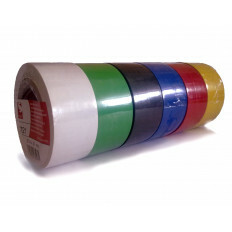 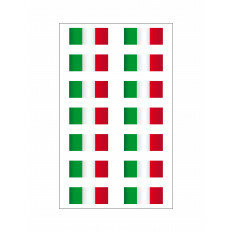 3M ™ material adhesive kit ideal for indoor and outdoor use, nice to indicate the direction to be taken in parking, industrial or port areas and anywhere else where security is needed. 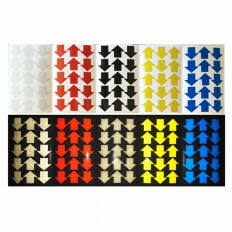 High performance stickers, these chevrons reflect the light in the direction where it comes from.